(London) – The British government said it intended to bring back Prime Minister Theresa May´s Brexit deal for a third vote in parliament on Friday to avoid a chaotic no-deal divorce from the EU. 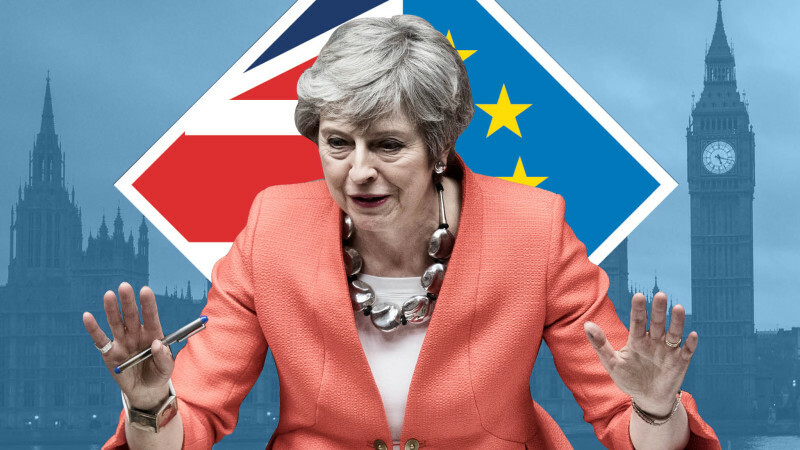 May´s throw of the dice comes a day after her dramatic pledge to resign in order to persuade her rivals to finally back her vision for breaking Britain´s 46-year bond with the European project. The government´s back is against the wall as it tries to avert potential economic disaster and financial panic in the coming weeks. The House of Commons leader Andrea Leadsom said the government was trying to secure permission for a third vote from parliament speaker John Bercow. He already rejected a similar attempt last week after ruling that the version May was bringing back was essentially the same text that lawmakers had already twice rejected by resounding margins. “We recognise that any motion brought forward tomorrow will need to be compliant with the speaker´s ruling and that discussion is ongoing,” Leadsom told the chamber.